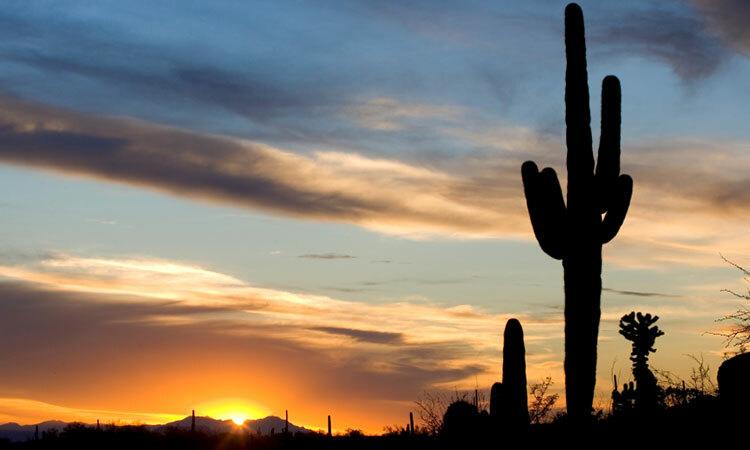 Get off the beaten path and explore the vibrant communities of Southern Arizona. From the fine wines of Sonoita and Patagonia to the rich history of Bisbee and Tombstone, experience something new outside the city limits. Between landscapes and portraits, this gallery has it all. Located at the heart of Bisbee, J.F. Thamm Studios features artist John Thamm’s political and environmental paintings. The skill of this former Bob Ross mentor and long-ago courtroom sketch artist isn’t something you’ll soon forget. Take a scenic drive down Sonoita Highway into the Santa Rita Foothills to experience a wine that has sold out since 2000. One of the oldest vineyards in southern Arizona, Charron has been growing fine wine grapes since 1994 and drawing visitors to their picturesque tasting room. Nestled in beautiful foothills at at a cool 4,200 feet, Charron Vineyards and Winery is an ideal location for a wedding venue and wine tasting alike. Enjoy the tasting room 10 a.m. to 6 p.m. Friday, Saturday and Sunday. Steve and Gail Getzwiller provide a dazzling display of prized Navajo masterpieces directly from the talented hands of nearby artisans that come into Sonoita’s Nizhoni Ranch Gallery. Amongst the glory of blankets, baskets, rugs, table runners, and pottery, I feel like I’m at a trading post in the Old West. Well, I’m fresh out of rabbit pelts; may I trade cash? Situated in the stunning landscape among southern Arizona’s sky islands, Circle Z Ranch offers an elevated dude ranch experience for guests of all ages. Thousands of acres of expansive grasslands, canyons and mountain ranges serve as a dream setting for horseback riding across untouched landscapes, while the protected Sonoita Creek makes Circle Z ranch a rich and peaceful location for birdwatching. Relax with class as you stay in amenity-filled and colorful Southwest-style historic cottages at Arizona’s oldest family owned and operated vacation ranch. What’s cuter than a llama, fluffier than a sheep and more sociable than a lot of people? That’s right, you guessed it: an alpaca. The luxurious hair of which was once worn by Incan Sun Kings, alpaca fiber is still sought after as a high-end product in the textile world. Far View Ranch features 40 alpacas that are individually named and personally cared for by Arleen and Jerry Brothen. Dedicated ranchers, they invite you to visit their stunning location and get nose-to-nose with a sweet ‘lil alpaca. Sign me up and al-pac-a my bags right now! Located in the heart of Tombstone alongside many of the town’s historical attractions, stop in to Cafe Margarita to cool down and relax for a bite to eat with freshly-made horchata and authentic chile relleno. After a thrilling reenactment of Wyatt Earp’s legendary gunfight at the O.K. Corral, kick back with a hand-blended cactus margarita made with top shelf tequila, or savor some spumone gelato for a cold treat on a hot day. No matter what you get, Cafe Margarita promises genuine Mexican and Italian dishes made with the best ingredients. The historic watering hole in Tombstone known as Big Nose Kate’s Saloon is jam-packed with entertainment and enough ambiance to transport anyone back to the unbridled days of the Old West. Big Nose Kate is most infamous for her tumultuous relationship with Doc Holliday, but her tough attitude toward working the prostitution business is really what set her apart from the women of her time. Step into the saloon today for sights–and tastes–of the past. Expect the unexpected at Arlene’s in Tombstone! This family-owned gallery, opened since 1978, showcases some of the Southwest’s most iconic items. Shop for everything from turquoise jewelry to Native American artifacts to fine art, pottery, and more. A visit to the Western town of Tombstone–with dusty streets, gunfights reenactments, carriage rides, and Shady Ladies–wouldn’t be complete without a stop at Arlene’s for authentic regional treasures. Tombstone, is home to what is generally regarded as the most famous gunfight in the history of the American Old West. The fight took place on October 26, 1881, between Doc Holliday, the Earp Brothers, McLaurays, and Clantons, and has since come to represent a time in American history when the frontier was an open range for outlaws roaming the vast West.